Oye told newsmen in Awka that he deserved an apology for the misplaced and unwarranted attacks on him by the wife of the late Biafra warlord, Dim Chukwuemeka Ojukwu. He said though Bianca joined the Anambra South Senatorial contest for APGA ticket a bit late, she got a lot of assistance from the party to enable her clinch the nomination, and wondered why she lost. Oye said he did not offend Bianca in any way and expressed surprise at Bianca’s invective on him and the party. He said rather than castigate the national chairman and the party, Bianca should have been explaining her loss after receiving so much logistics to enable her win. The chairman, who recalled the party’s insistence on fair and open primary elections, said Bianca could have been awarded the ticket if she had indicated interest much earlier. 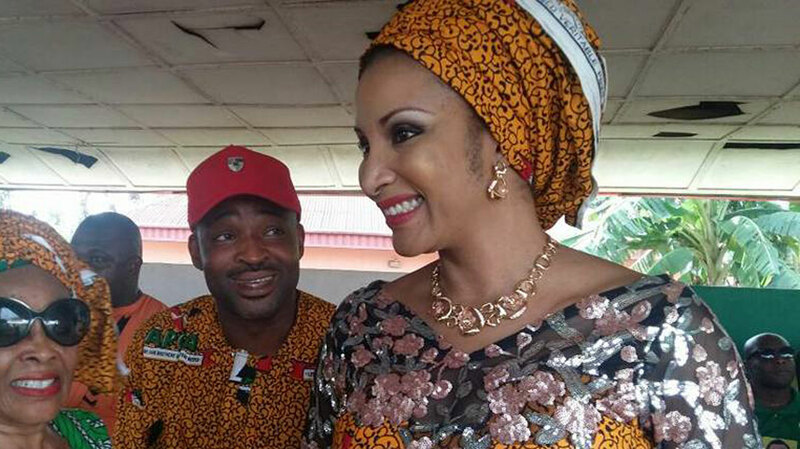 Oye said it was wrong for Bianca to blackmail him or APGA because of her marital status, adding that such emotions and sentiments were not accommodated by the constitution of the party or any other in the country.